Today we've released a new feature that lets you take control of your indoor pool swim data. This essential tool lets you correct pool watch glitches for missed turns, stroke detection, false or missed starts, and more. To access the editing tools for pool swims, click the familiar Edit button you know and love on your workout detail page. When the edit page is shown you'll see a new Pool Details tab for pool swims. At the top of the Pool Details page you can change the size and units of the pool length. If you're swimming in different sized pools and forget to set this before your swim, this can be a useful option to fix that. Below the pool length details is a list of all the recorded pool lengths organized into intervals, with the rest time between each interval. 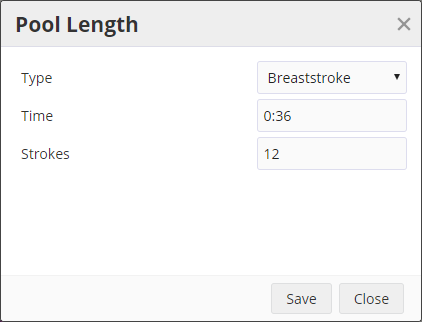 The pool length list shows the stroke type, duration, and number of strokes. A bar chart lets you quickly see where recording errors happened. Clicking the length brings up the editing page, and I can click Split to break the length in half. Sometimes a pool watch will randomly detect the wrong kind of stroke. 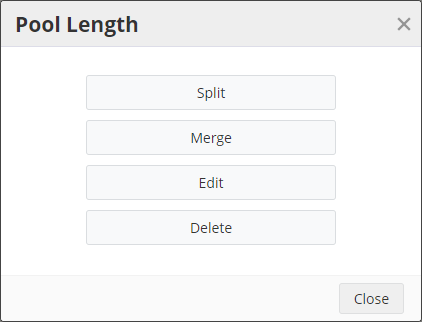 You can edit the stroke type by clicking the length and selecting the Edit option. You can also edit the number of strokes or time if you need to make manual adjustments. Finally if you need to remove an entire interval, change the rest time, or quickly change all the strokes in an interval to the same type, you can do that by clicking an interval row to edit it. Modern watches do a good job of detecting turns and strokes while you're pool swimming, but they're not perfect, which can lead to inaccurate performance metrics and frustration. With these new editing tools you can take control of your data in the same place you analyze it. It's great! Great, great, REALLY great new feature. Thank you very much SportTracks, this is why I keep paying a yearly subscription. This is great! The only thing I can see missing is the ability to change rest to active if you forgot to start your interval and left the watch paused. This is a scenario we will have to check into. If you have a sample FIT file where you did this, it would be great to email it over to support. When it comes to pool workouts, unlike road workouts there are no "rest" intervals while swimming - all intervals that have pool lengths are active, those that have none are rest. I'm not actually sure what the watch will do if you have it paused, as far as detecting pool lengths and strokes. It's possible that data is simply not recorded, so it can't really be changed to active, and you'll have to fake the data. 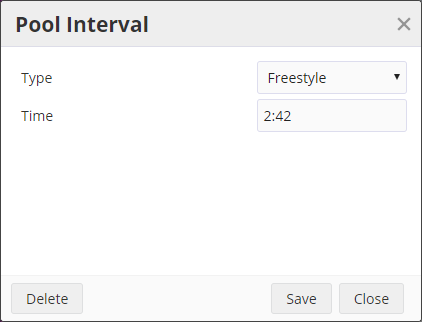 Possibly we need to add a button to create a new interval of some set length + stroke + time to accomodate this need. It will need some design thinking. Cheers. I did a 1000 meter freestyle session today and for some reason my Suunto watch has registered a 17 sec pause after 250 meter. The session is now split into 250 m + 750 m. Can I merge them? I split one of my laps (watch missed a turn) today before I even saw this blog. ST makes things very intuitive. Great work to you and the rest of the team! Now, is there an option to show granular HR data for pool (or open) swims? I just got a Garmin HRM Swim, and on the Connect website, I see all the HR data collected. ST only seems to plot average HR over the length. Am I missing some setting?